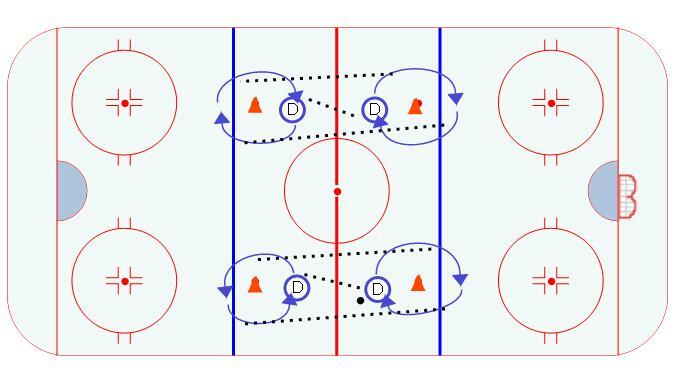 This drill is an advanced drill for defensemen. For the first twenty seconds the defense circle in opposite directions, one goes clock-wise, and the other goes counter-clock-wise. The players are always facing each other so the are pivoting as the circle the cone while passing the puck as much as possible. After 20 seconds, one of the players stops and goes the other way.